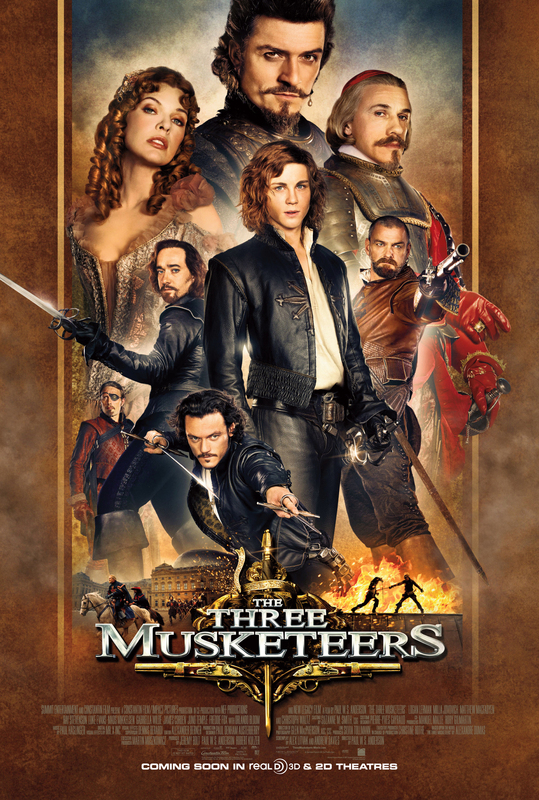 When watching a movie with a classic theme like the Three Musketeers, you have certain expectations based on several previous makes of the same movie. Some of the basic stuff were met, but most of the plot in this edition is just a let down. It has a vast amount of silly humour combined with medium to poor acting. That is a shame. Milla Jovovich is stunning. Orlando Bloom does a good villain. Mads Mikkelsen does an above average villain. The effects are in general good, which lifts this movie up from a 4 to a 5, but the airships and what not just makes it way over the top. Too much for my taste. If you like any of the other movies about the Three Musketeers or movies in a similar genre, it might be useful for killing your time. Otherwise my opinion is that you would be better off watching something else.